If there is any World War II figure that stands as a shining symbol of loyalty to the country, it’s undoubtedly Chief Justice Jose Abad Santos. Besides him, however, another man also deserves to be recognized for paying the ultimate sacrifice for his country: Wenceslao Vinzons. 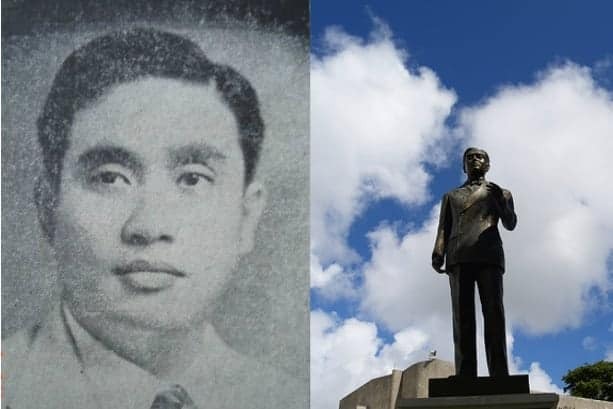 Born on September 28, 1910, and hailing from Indan (now renamed Vinzons in his honor) town, Camarines Norte, the gifted Bicolano native graduated valedictorian in his high school and later on became famous for his oratory and argumentative skills whilst studying at the University of the Philippines College of Law. Known as the Father of Student Activism, Vinzons also achieved notoriety when he led fellow students to demonstrate against a plan by legislators to increase their salaries. Later on, he passed the 1933 bar examinations, placing third in the process. When World War II broke out, Vinzons—then the representative of his district—quickly organized resistance groups in his province. Under his personal leadership, the guerrillas were believed to have killed over 3,000 Japanese soldiers. Due to his exploits, Vinzons became the most wanted man in Bicol province. After months of being hunted down, Vinzons was finally captured along with his family by the Japanese after a fellow guerrilla turned traitor on him. Upon his capture, he was paraded in the town plaza of Labo and was asked to collaborate with the enemy. 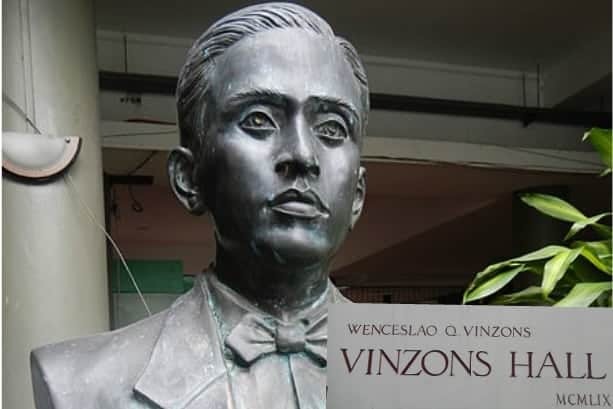 Vinzons Hall, UP Diliman, Quezon City, Metro Manila, Philippines named after student leader Wenceslao Vinzons. Source: Wikimedia Commons. At his response, the Japanese beat and bayoneted him to death along with his father Gabino, wife Liwayway, sister Milagros and children Aurora and Alexander. Their bodies have remained missing to this day. In honor of his bravery and loyalty, several structures have been named after him, including the Vinzons Hall which houses the student activity center at the UP Diliman. Agoncillo, T. (1990). History of the Filipino People (8th ed., pp. 593, 427, 430). 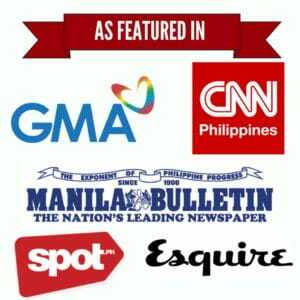 Quezon City: C & E Publishing, Inc.